Ms. Hartz started her legal career in the general practice of law. Her primary focus is in family law, including divorce, custody, parenting time, child support, alimony, equitable distribution, prenuptial agreements and other related issues. Over the course of her legal career, she has handled a wide variety of litigated matters involving complex issues. Ms. Hartz serves as an R. 1:40-1 Economic Mediator and regularly serves as a privately retained and court-appointed mediator in matrimonial cases. Ms. Hartz graduated from Fairleigh Dickinson University (B.A.) and Seton Hall University School of Law (J.D.). Upon graduation, Ms. Hartz served as Law Clerk to the Honorable Robert P. Tarleton, Superior Court of New Jersey, General Equity Division. Ms. Hartz is admitted to practice before the New Jersey Bar and United States Supreme Court. Ms. Hartz is a member of the New Jersey State and Essex County Bar Associations. She has held many leadership positions with the Essex County Bar Association, including as Past President, Co-Chair of the Professional Committee and a member of the former Judicial and Prosecutorial Appointments Committee. She is also an Associate Managing Editor of the New Jersey Family Lawyer. Ms. Hartz has been named as a 2015, 2016, 2017, 2018 and 2019 “Super Lawyer” in the Super Lawyers Magazine, and has been named to New Jersey's Top 50 Women Super Lawyers list. ** Ms. Hartz has participated in the Family Law Inn of Court and volunteers as a Matrimonial Early Settlement Panelist in Morris and Essex Counties. Ms. Hartz has been a speaker at various educational and legal training programs approved for Continuing Legal Education credit. 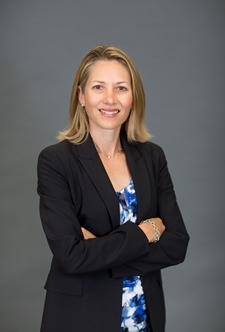 She is a contributor to Forensic Accounting in Matrimonial Divorce, (Co-Author, Litigating and Proving Child Support in High Asset or High Incomes Cases: What to Do When a Heavy Hitter is at the Plate), R.T. Edwards, Inc. (2005) and New Jersey Family Lawyer, (Co-Author, Appointed Counsel in Cases Involving Children: Responsibilities and Considerations, Vol. 27, No. 3), and (Co-Author, Forensic Substance Use Evaluation in Family Courts, Vol. 35, Issue 2). REPORTED CASES: Jovic v. Jovic, 2009 WL 1118764 (N.J. Super. App. Div. 2009); Phillips v. Grogan, 2008, WL 2951993 (N.J. Super. App. Div. 2008).